Acts 9 records the conversion of Saul, better known later as the Apostle Paul, the former persecutor of the church of the Lord. “Now Saul, still breathing threats and murder against the disciples of the Lord, went to the high priest, and asked for letters from him to the synagogues at Damascus, so that if he found any belonging to the Way, both men and women, he might bring them bound to Jerusalem” (vv.1-2). We had the occasion last November (’16) to be on the Israel/Syria border, and look over into Syria. Paul would have gone in this direction on his way to Damascus, and we thought about that as our group stopped here to look, reflect, and take photos. 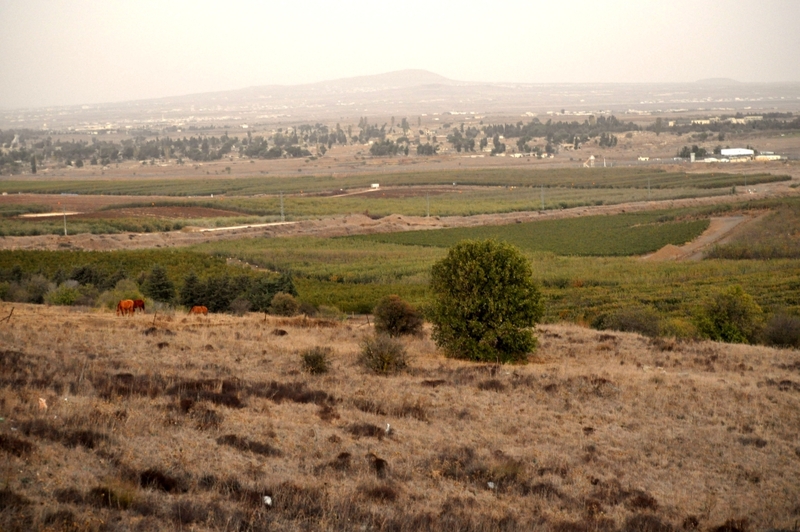 In northern Israel, looking NE into Syria. Photo by Leon Mauldin. This entry was posted on Wednesday, November 15th, 2017 at 11:08 AM and is filed under Bible History and Geography, Israel, New Testament, photography, Travel, Uncategorized. You can follow any responses to this entry through the RSS 2.0 feed. You can leave a response, or trackback from your own site.